In this post, Michaela Collord explores the tensions that have spread in Sudan ever since President Omar al-Bashir pledged his intention to seek re-election. Michaela is a PhD candidate in politics at the University of Oxford.This post originally appeared on the Presidential Power blog. On Sunday, January 11, Sudanese President Omar al-Bashir officially registered his re-election bid, setting the stage for a continuation of his now 26 year reign. Bashir’s action comes amidst heightened political tensions at home and waning enthusiasm for his leadership within the ruling National Congress Party (NCP), yet his grip on power seems as firm as ever. 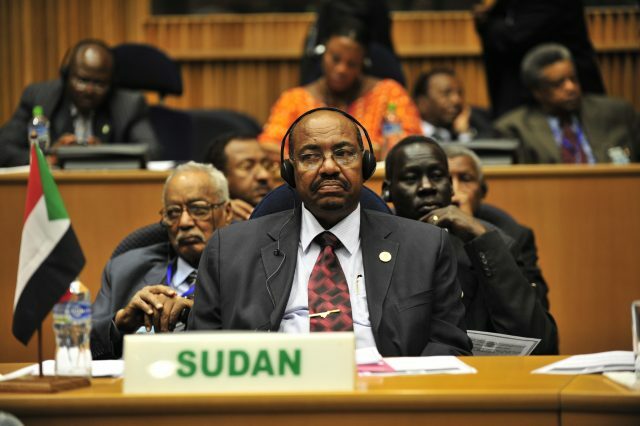 This time last year, observers began to speculate about a possible thaw in Sudanese politics. Following a brutal crackdown on protests in September 2013, which led to the death of over 200 demonstrators in Khartoum, the President Bashir called for a ‘national dialogue’ with political and civic forces. A committee of both government and opposition representatives was convened to pave the way for a ‘National Dialogue Conference’, which government representatives affirm will take place early this year. Opposition support for the dialogue, however, quickly began to collapse. The first to jump ship was the National Umma Party (NUP), Sudan’s largest opposition party, which denounced the dialogue after its leader was arrested in May 2014. In August, NUP faced renewed threats from government after it joined with the Sudan Revolutionary Front (SRF) to sign the ‘Paris Declaration’, which calls for genuine dialogue between all political forces, including rebel groups. December witnessed a further unification of opposition forces as an unprecedented coalition of opposition parties, civil society organisations and rebel groups jointly issued the ‘Sudan Call.’ Described in the press as a ‘breakthrough’ event, the ‘Call’ expresses a commitment to a non-violent political process aimed at dismantling the one-party state. It also includes a demand for government to allow humanitarian aid to reach Sudan’s embattled periphery, particularly Darfur. Deemed an ‘unholy alliance’ and ‘treasonous to the homeland’ by NCP officials, the coalition was immediately targeted with the arrest of two prominent leaders. On January 13, just two days after Bashir registered his candidacy in the April elections, the Sudanese National Intelligence and Security Services (NISS) moved to dissolve NUP and ban its activities under the pretext that the party is colluding with rebel forces. The government is still trying to put on a conciliatory face, claiming that 83 government and opposition parties will participate in the upcoming ‘national dialogue conference.’ Already in tatters, though, the legitimacy of the dialogue took yet another hit this week when the NCP breakaway party, the Reform Now Movement (RNM), suspended its participation. RNM also announced that it will boycott the April elections, thus aligning with the Muslim Brotherhood and NUP, among others who have denounced the upcoming polls as a government-orchestrated ‘absurdity.’ The promised boycott heralds a repeat of the 2010 scenario in which opposition parties similarly shunned the polls, the first since the NCP seized power in 1989. 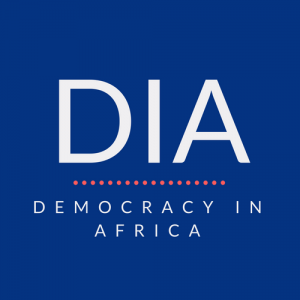 With AU-mediated negotiations between government and rebel groups also at a standstill, Sudan is very far from ‘a new minimum of consensus’ observers hoped might be achieved when the ‘national dialogue’ was first launched. Within the NCP – leading by default? Late last year, Sudan’s foreign minister, a close ally of the President, declared that Bashir is the ‘only person trusted’ to head the NCP, but there appears to be a large portion of the party leadership who do not share this trust, or else remain apathetic. The 522-strong NCP shura (consultative) council convened to vote on a presidential nominee in October. With 126 members absent, though, the council barely mustered the 75 percent quorum required to vote while just over 50 percent of the total shura members (many of whom were not present) actually came out in favour of a Bashir re-nomination. Despite condemnation from opposition actors and the somewhat tepid embrace of his own party members, Bashir’s power shows no obvious signs of weakening. Admittedly, the Sudanese economy continues to struggle with double-digit inflation, slow growth, and the aftershocks of IMF-mediated fiscal consolidation, much of which is tied to the 2011 secession of oil rich South Sudan. A number of other factors, though, are playing in Bashir’s favour. The ICC, which long had a warrant out for his arrest, suspended its investigations in December. Bashir has meanwhile worked to shed his international pariah status by multiplying his trips abroad while also receiving foreign dignitaries, most recently China’s foreign minister, in Khartoum. The foreign charm offensive aside, Bashir has also worked to consolidate power at home, notably by—in his own words—abolishing competing ‘power centres’ through the substitution of elected state governors with presidential appointees. He also appears to have successfully gambled on a military strategy in the restive South Kordofan region, where government troops and Khartoum-backed militia are reportedly on the verge of routing rebel opposition. Raw political tensions, violent conflict in the periphery and deeply entrenched socio-economic inequalities at the centre are as much as ever a part of the Sudanese reality. But for now at least, these obstacles appear of little importance in shaping Bashir’s hold on power. In this context, presidential elections—and Bashir’s participation in them—do seem like a non-event, indeed an ‘absurdity.’ But the so-called absurdity does put into greater relief how a combination of repression, fear and apathy ensure Bashir retains his position without serious challenge.